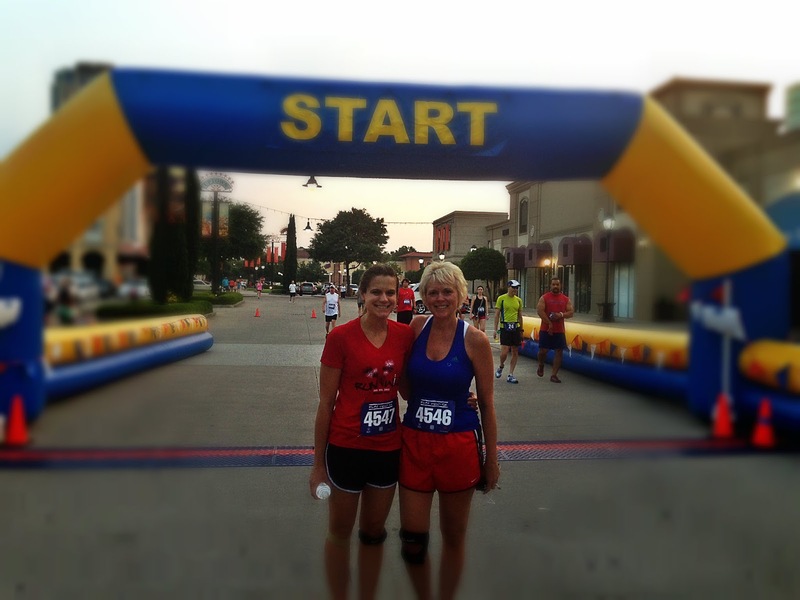 Three days ago I got an email from my overly ambitious mother titled "July 4th 5K," which is never a good sign. Houston has numerous different races throughout the year: 5Ks, 10Ks, the ever-dreaded marathon (which that same woman somehow conned me into doing in January…)… The list goes on. If you've never ran or attended any of these races, I highly recommend doing so at some point. 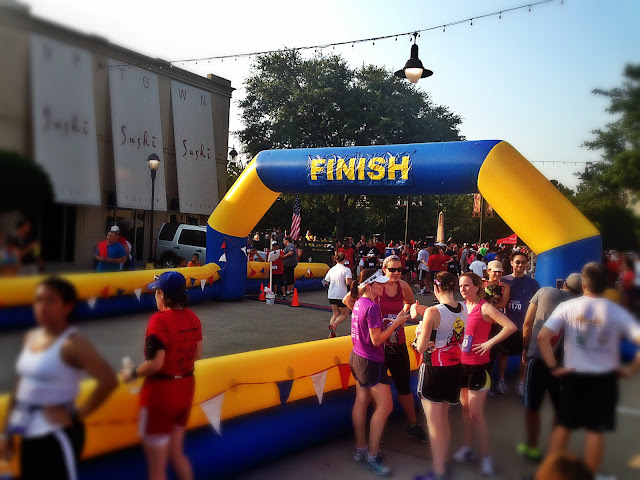 This race was the RunWild 5K, hosted by the Houston Runner's High Club, benefitting the Special Olympics Texas. It took place at Uptown Park, which is a very pretty little European-style shopping center just outside the loop not too far from Memorial Park. The route was very scenic and wound through several beautiful residential back roads (Of course I couldn't really focus on all of that, as I was doing my best to merely live). This race in particular was much smaller than a lot of them, but there are always a ton of great vendors and free stuff. I LOVE free stuff. 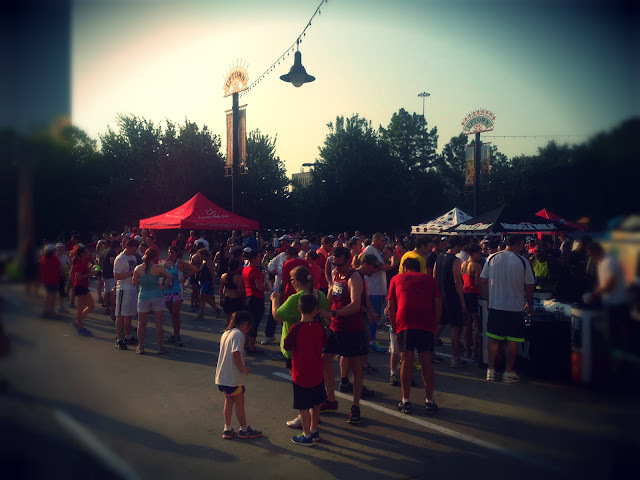 Today's freebies included water bottles, coffee, Muscle Milk, and breakfast tacos, to name a few. There were even free beers! At 8:30 in the morning! Post-race, Mom downed one like a champion (while I crashed in some nearby bushes, trying to regain my pulse). And for those of you who woke up this morning and thought, "You know where I'd love to be right now? In a club, rocking out to some dope beats," you are in luck! 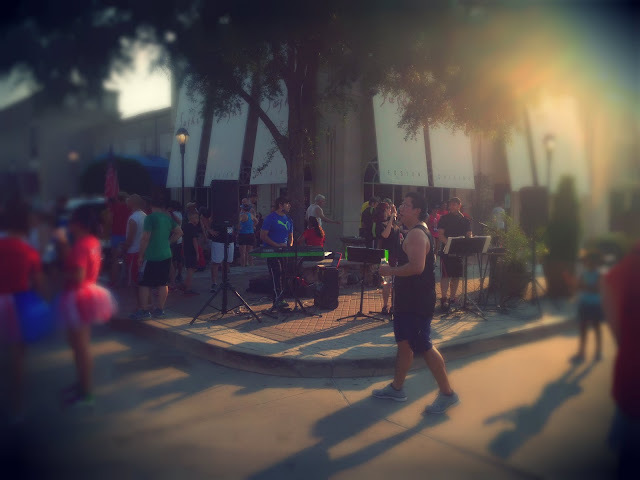 The race had their very own live band playing house music renditions of popular hits! Catering directly to your completely natural 7:30 am needs! So see, there really is something for everyone at these races, whether you are an intense runner (Mom), a horribly out-of-shape-runner who thinks you're actually an in-shape-runner (me), a walker, a spectator, an avid clubber, or just someone looking for a nice early morning cold one. And it's all for a great cause! God Bless America, that was a beautiful sight. There are several opportunities to catch one of these races throughout the year in Houston, so I definitely recommend going to one and seeing what they're all about. It often gets you to a new part of town, and it's really inspiring to see how incredible a lot of these runners (not me) are. I think some guy finished in 16 minutes. 16 MINUTES! If that's not inspiring, I don't know what is. Have a safe and Happy 4th of July Everyone! !